You don’t have to look far or wide to find research that shows blacks are on the bottom side of ‘gaps’ associated with money.Â There are income gaps, wealth gaps, investment gaps – you name it.Â Research by University of Kentucky associate economics candidate Aaron Yelowitz, and University of Kentucky Ph.D. candidate Timothy Harris, finds that when it comes to life insurance — one of the most significant forms of financial protections available — more blacks have it than whites. “The key to doing a thorough analysis is that you must make sure that all things are equal.Â You need to compare apples to apples,â€ Yelowitz told BE when asked why other research contradicts their findings. “Some research will look at racial disparities without factoring in things like lower income levels and higher unemployment rates in the groups they are comparing. Â When you look at comparable households and control for things like age, education levels, and marital status, blacks are nearly three percentage points more likely to have life insurance than whites. You’ve got to compare apples to apples,â€ says Yelowitz. As for why blacks own more life insurance, Yelowitz says higher mortality rates play a role. 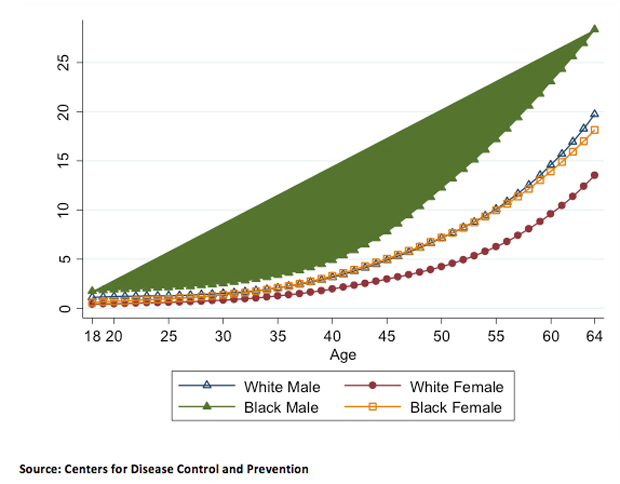 “The likelihood that an African American will die in the next 10 years is quite a bit higher.Â At any age, blacks are more than likely to pass away in the next 10 years.Â A 50-year-old black man, for example, has a 12% chance of dying in the next 10 years, versus 4% for a white woman. There’s an awareness that the loss of a breadwinner is significant and people want to protect against that.Â I think that’s reflected in the data. 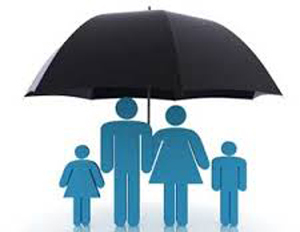 Life insurance and planning for mortality are responsible aspects of any financial plan.Â While the reasons behind the higher rates of coverage reflect social disparities that play out in health and premature death, we should also bring to light the fact that blacks are taking these important steps when it comes to life insurance. We can use this as an opportunity to advance the conversation about overall wealth-building in the black community.